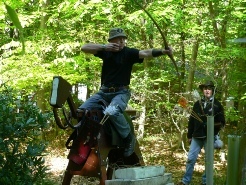 Longbow and Traditional Archery Specialist for over 36 years. 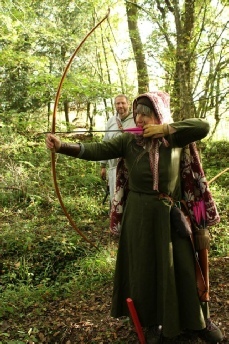 Expert Longbow and traditional bow tuition with Carol, 19 times NFAS champion. I had nothing else at the time. No feathers, nocks or points. 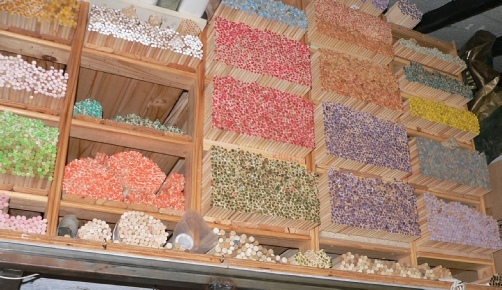 No glues, no anything, just 10,000 arrow shafts! (38 years ago they were POC…and boy, did they have a strong p**g! 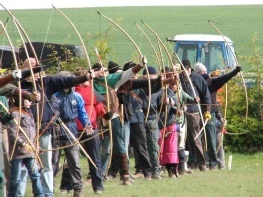 Over the years I have, of course, added Trueflight feathers, Sherwood points, AAE nocks, Boyton Archery shafts and lots of other necessary items for the traditional archer, including Longbows by Hilary Greenland of Sylvan Archery. Also Paul Reed Longbows. 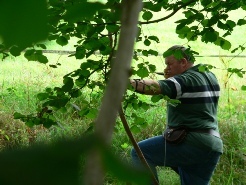 I have specialised in supplying traditional archery equipment to Field and Target archers for over 38 years. 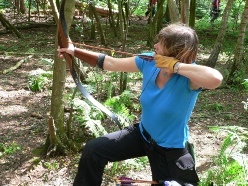 As an archer myself I can provide help and advice on all aspects of traditional archery from selecting a suitable bow to ‘matching arrows to you and your bow’. So, if you are having trouble matching arrows to you and your bow, I have most sizes of arrow made up for you to try out, from ¼" to 11⁄32. 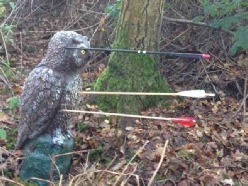 Its not often a larger diameter arrow shaft is needed for field or target, unless you’re shooting 100lb plus…..! 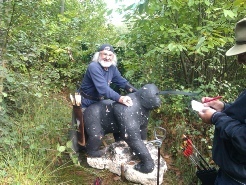 Although I am a qualified National Field Archery Society coach, I do teach target as well. Beginners are always welcome, as well as those who need a ‘top-up’ and, when its all going pear-shaped(! ), help to get you back on track. Give me a ring to book your one-to-one coaching or your arrow matching session. Gift vouchers available for lessons and equipment. Visits to my workshop are welcome, but do always phone first in case I am teaching or been called away. I am usually open between 2pm and 7pm Tuesday to Saturday, but this can vary as I run shoots and competitions all year round. For the last ten years I’ve been trying to finish writing my book. I keep promising to finish it….but now I have the right programs to edit the photos….so hopefully!!! INTERESTED? 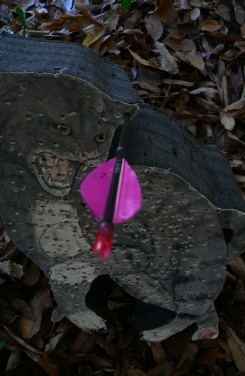 HOW ABOUT TAKING UP FIELD ARCHERY? Not sure what field archery is? Take a look at the following photos. Looks like fun? It is. 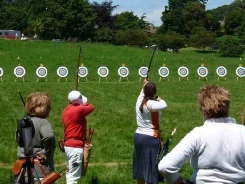 Being a true amateur sport, all archery, especially field archery is a family day out. Once you’ve had a few lessons, either with me or at a local archery club, this is a sport that needn’t cost an arm and a leg. Once you have the basics you can join a club, join the National Field Archery Society or the English Field Archery Association, (or both) and off you go. 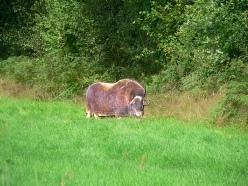 There is usually a shoot on somewhere within driving distance every week of the year. Entry fees are usually less than a tenner a day and some clubs don’t charge for the kids. 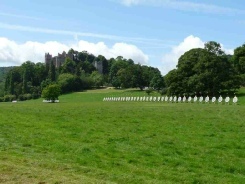 With field archery you get to see some fantastic countryside not usually open to the public, so you can enjoy the scenery as well. 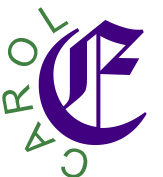 Supplier of Longbows; arrows and their components, plus handmade leather goods, and the ‘Carol Tri-Jig’ etc. 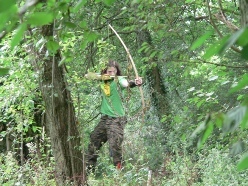 I have been National Field Archery Society champion many times with my 28lb (now 24lb) yew and hickory longbow. I started teaching as there isn’t anywhere else that specialises in traditional archery instruction or gives the arrow matching service that I now do. 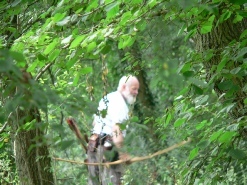 I teach people from all over the World to shoot the English Longbow, as well as other traditional bows. 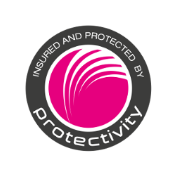 When I started my business, on 8th August 1982, we were having trouble getting wood arrow shafts in the London area. I was about to buy a few shafts from the USA, for my parents and my husband and I, when I mentioned it to a friend…I bought 10,000! OR WHAT ABOUT TARGET ARCHERY? Target archery, can be a little (or a lot, depending on your aims!) more expensive but still affordable pastime. 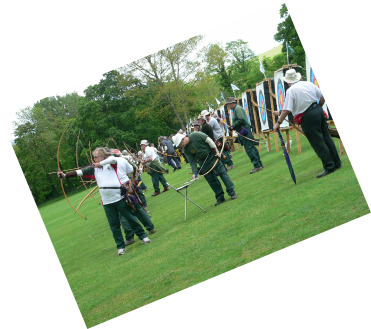 The Governing body, the Grand National Archery Society, or Archery UK as its now called, costs a little more to join than the field archery societies, and the club fees are higher. 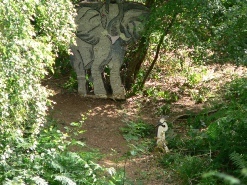 Even so it is still affordable, and for those of you who can’t manage to get around the woodland settings this is ideal. There is, of course, nothing to stop you doing both. I certainly do. During the winter most target clubs shoot indoors, unlike the hardy field archers. But there is a lot to said about a nice warm hall when its snowing or howling a gale! I do ARCHERY LESSON GIFT TOKENS from £45. Can’t think what to buy for that special, different, present? 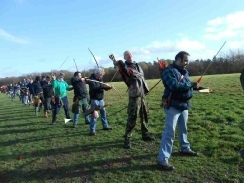 Why not give a Longbow Archery Lesson GIFT VOUCHER? £45 for an hour, one to one. Or why not join in and do two to one for £70. You don’t need to buy any equipment for your lesson, I supply all you need. Just wear something with tight-ish fitting sleeves and come along and have fun. SO! YOU’RE THINKING OF TAKING UP AN OUTDOOR SPORT? LIKE THE COUNTRYSIDE AND WANT TO SEE MORE OF IT? CAN’T AFFORD GOLF OR CLAY PIGEON OR PAINTBALL? 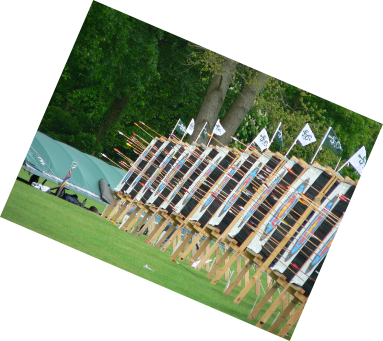 With the English Longbow you can shoot all the different competitions and different disciplines, unlike any other bow. With Field, Target, Roving Marks, Clout and flight, plus re-enacting if you fancy dressing up as well, there is plenty to choose from. 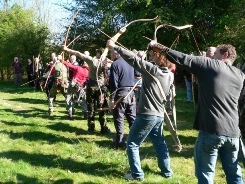 Shooting at the ‘Azincourt’ shoot at South Wilts Archery Club on the 600th anniversary. It is with great sadness that I inform all my customers that Chris Boyton passed away on 8th July 2018, from a melanoma and brain tumour. 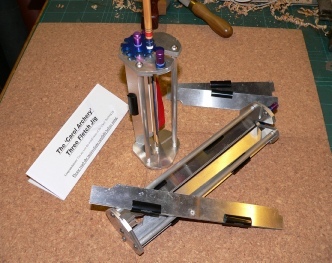 Chris has left one of his arrow making machines to me, so I can continue to make the 9/32” and 1/4”. This is so generous, and I thank his family for passing this to me. So I have 1/4”, 9/32”, 5/16”, 11/32”, 23/64”. Christmas is coming…buy your loved one something they can use for years! Over the last few months I’ve had many souls come to have an arrow matching session with their longbows, with bows that are far too heavy a draw weight for them. PLEASE: Don’t buy a bow you can’t pull in comfort, as it WILL tear the rotar-cuff in your shoulders and take months to heal…if it ever does…plus neck problems and lower back pain. You really DO-NOT need weight to reach most targets. 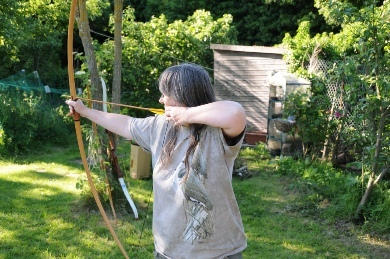 I shoot a 24lb longbow…it easily reaches all target distances. This is especially so with children who are still growing.